It has a convoluted history, but curry’s origin is unquestionable: a profoundly aromatic trail that leads straight to ancient India. But just how the dish spread across the globe isn’t quite so clear. Today, a dozen Asian countries have their own interpretations, and many are deliciously represented in O.C. Coconut Rabbit does an elegant take on Thai. The restaurant is sedate and understated, but the food is nothing of the sort. The short rib panang is brilliant, alive with chiles, lemongrass, and galangal, a citrus-scented root. The curry packs a subtle, sneaking heat, initially concealed by a dose of creamy coconut milk, the ideal accent to the beef. The meat all but melts into the curry where it’s imbued with a whole pantry’s worth of spices. 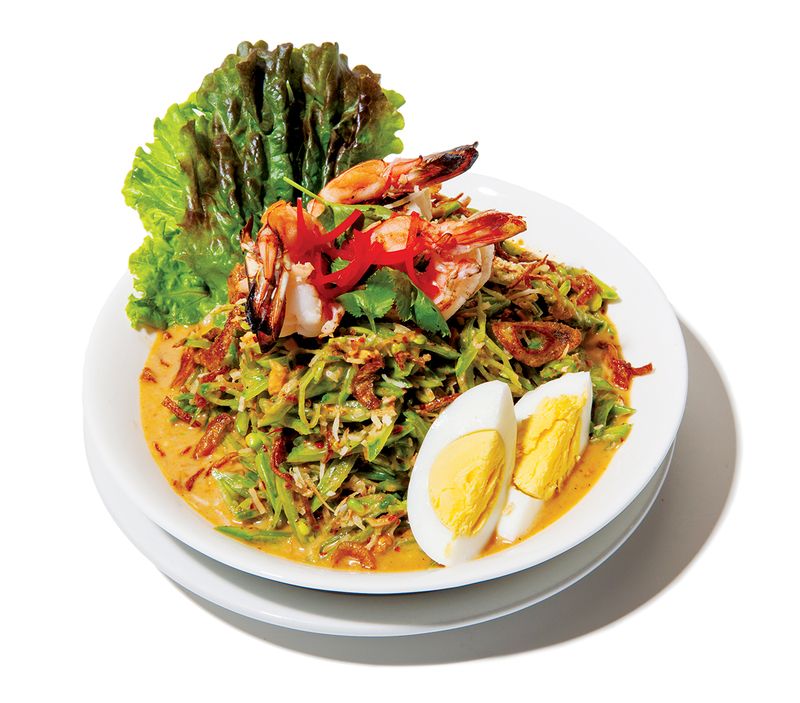 At Bo De Tinh Tam Chay, curry travels to Vietnam. The restaurant has an encyclopedic and completely vegetarian menu of Vietnamese favorites. The banh mi cari is a hearty vegetable curry of fried tofu and taro root that you sop up with fresh French bread. It’s a thick, sweet curry that hints at autumnal spices while staying balanced with an accompanying wedge of lime and a spoonful of chili powder. Curry House cooks up curry by way of Japan. Here, it resembles a thick gravy, a deep brown sauce made with carrots, apple paste, cashew butter, turmeric, garlic, and a host of spices. It’s smoky, satisfying, and an ideal complement to a perfectly fried chicken cutlet. At dinner you can partake of the stone-grilled curry rice, a Japanese spin on Korean dolsot bibimbap in which rice, vegetables, and the protein of choice are served in a blazing-hot stone bowl, accompanied by a gravy boat of curry. It’s one of the best ways to warm up a winter night. NEED A LIGHT PAIRING for Coconut Rabbit’s short rib panang? 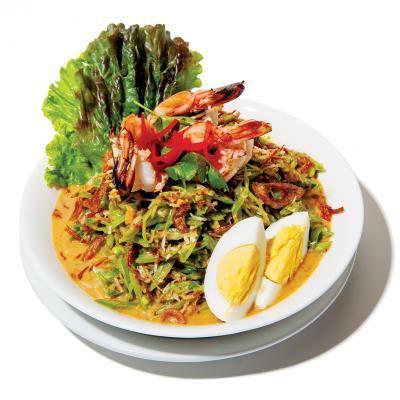 Try the seasonal sugar snap pea salad, a bowl of shaved sugar snap peas, plump fried shrimp, toasted coconut and peanuts, hard-boiled egg, and lettuce leaves dressed with a cooling coconut-lime dressing.